The second and final day of the Tokyo Grand Slam saw Mongolia’s Otgonbaatar Lkhagvasuren become our man of the day. 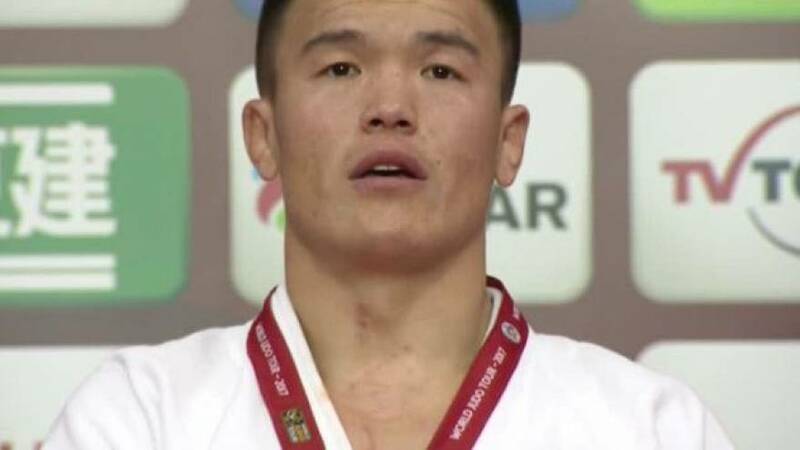 In the under 81 kilogram final he brilliantly transitioned from a sacrifice throw attempt into a powerful armlock, earning the submission from his Korean opponent and taking gold. By raising the Mongolian flag, he stopped a run of seven straight golds for Japan, as his anthem rang out through the stadium. Japan’s Shori Hamada was our woman of the day. She took on the Netherlands’s Guusje Steenhuis in the under 78kg of the final. A brilliant piece of footwork took them to the ground where Hamada struck, securing a strangle and forcing her Dutch opponent to tap out. Expert timing and lethal efficiency. The one to watch in the men’s heavyweight division was Czech Republic’s Lukas Krpalek. The Olympic champion found himself up against Japanese rising star Yusei Ogawa in the final. A gruelling contest went into Golden Score, and try as he might Krapalek couldn’t find a way past his opponent. After an incredible 10 minutes of sudden death, Ogawa took the narrowest of victories. Mr Souda Kansui from Token Corporation presented Ogawa with his gold medal. Who knows how far this young prodigy can go? Keiichiro Yokomizo, General Manager Hakuhodo DY Media Partners, presented the under 90 kg gold to Nagasawa Kenta who produced our move of the day in his final. A spectacular Uchi Mata, thrilling the home crowd an example of pure Judo brilliance.